Earlier in the week, we examined the phenomenal renaissance being enjoyed by cans in the beer industry. Part one of our Big Issue feature looked at the history of beer in cans and spoke to some of those who have helped bring them back to prominence. Today, Marie Claire Jarratt delves deeper in the company of a panel of experts, including a micro-canning pioneer, a brewer who uses both cans and bottles, one whose former business made the leap straight to cans and another whose brewery solely uses a range of bottles. She looks at some of the alleged myths around cans, their pros and cons compared to bottles and how far their rise is likely to go within the local beer world. James Booth: Founder and head brewer at Black Dog Brewery and winemaker at Taminick Cellars, Glenrowan. Having launched in bottles, Black Dog now has a canning line at its brewery too. Matt Houghton: Founder and head brewer at Boatrocker Brewing Co, Braeside, who, to date, have only released beer in bottles. Peter Love: President of Cask Brewing Systems, Calgary, Canada, a pioneer in micro-canning. 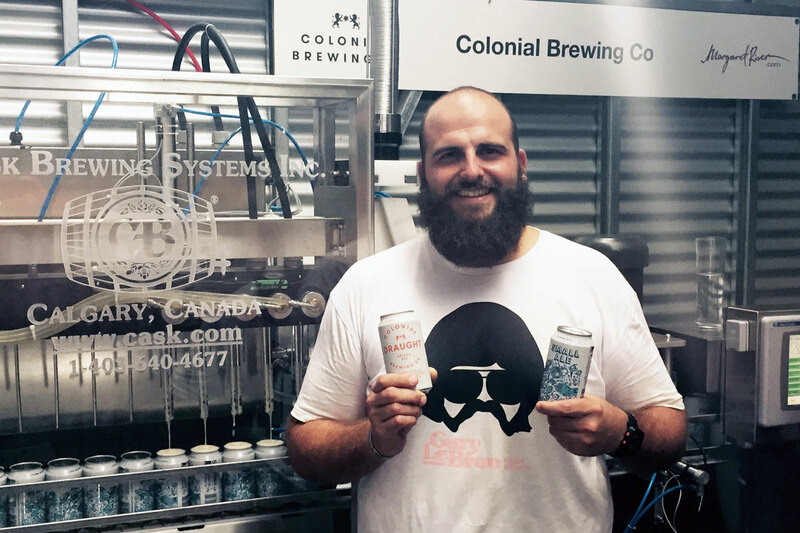 Justin Fox: Former head brewer at Colonial Brewing Co, Port Melbourne, who oversaw the installation of their canning line before joining supplier Bintani. Myth or reality: will the same beer present differently from a can and a bottle? Peter Love: If both beers were hoppy and exposed to significant light, the canned beer would not be lightstruck and skunked. The can’s airtight seal means it would also present no oxidation from ingressed oxygen. Matt Houghton: It all depends on the beer and the equipment used to package it. Certain beers benefit from glass packaging. For example, a highly carbonated saison that is force carbonated before packaging will maintain its high level of carbonation better than in a can, solely due to the nature of how the bottle is counter-pressure filled (admittedly some higher end canning lines do offer this), so I guess it really comes down to the beer style. 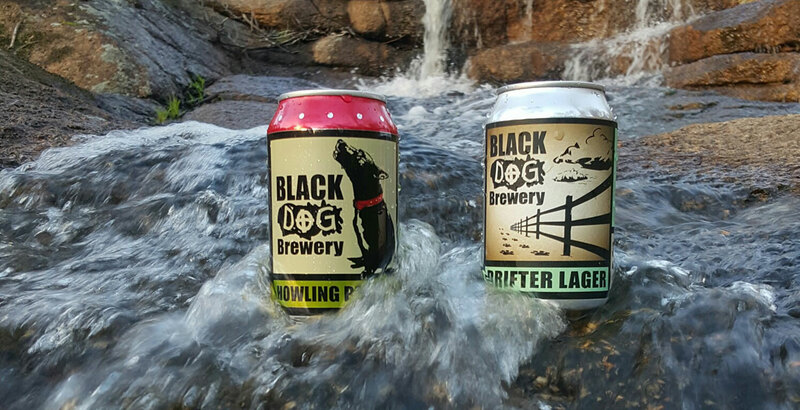 James Booth: Its only early days for Black Dog beers in can. The latest batch of pale and DIPA are looking much more aromatic and fresh. With light not being able to react with beer, I also hope to see an extended shelf life in cans. Compared to bottles, I am already seeing small but positive differences. I think by the end of summer we should have a good amount of consumer feedback on the products. Justin Fox: It’s a myth if you pour the beer into a glass, which all good beer should be if the situation allows! If you drink straight from the can or bottle, the obvious difference in mouthfeel is the only distinguishing difference. Which is better for the environment, in terms of production, recyclability and transport? MH: This is a tricky question. If cans were all made of recycled aluminium, they would be better. However, recycled aluminium makes up around 20 to 40 percent of cans, with the remainder being virgin aluminium. Aluminium production is incredibly energy intensive, not to mention damaging on the environment (bauxite mining) compared to lightweight glass bottles – approximately double – so glass is the winner in terms of production. As for recyclability, depending on the colour of the glass, certain heavy metals need to be removed during recycling, and it can be expensive to sort through all the different colours of glass, so I guess aluminium has the edge there. And, in terms of transport, cans are definitely the winner, as they are lighter – unless the brewery is importing empty cans from overseas (look out for those 355ml cans!). But the one thing that is not discussed anymore is re-usable glass bottles. They are the most environmentally friendly of all. But consumerism got in the way of that. JB: A pallet of bottles has 2,250 bottles, while cans either come in half pallets (which I use) of 4,279 cans or full pallets of 8,558 cans. When shipping, I can send 100 to 200 cases of cans versus 65 cases of bottles. For a regional based brewery such as myself, this is a huge logistic cost factor. We try to be as sustainable as possible at Black Dog. We’ve had a 25kW solar system in place since 2013, so, when I was looking to upgrade capacity, packaging in cans was the perfect fit for our existing practices. PL: Cans. Their light weight makes them about 33 percent less fuel consuming to ship than bottles. You can put more of them on a truck for shipment, more of them on a pallet. They require as much as 40 percent less packaging material so there’s much less material to trash or recycle. Cans are also the most recycled beverage package on earth and are infinitely and quickly recycled. There’s one more big environmental plus: no bottle cap problem. Which is more cost efficient for a brewer? BentSpoke Brewing founder Richard Watkins and his partners opened a large production facility separate to the brewpub before starting to can their beers. JB: As far as packaging and logistics, definitely cans. These savings will really add up in the long term. The cost of a can is slightly lower than a bottle and if you choose printed cans, then you save a little more in regards to a label. MH: Cans per unit are considerably cheaper than bottles, however the minimum order quantity is in the order of 20,000 to 50,000 for a printed can, for one design only, whereas you can order one pallet of glass bottles at a time. So, glass is ahead in terms of cashflow. Also, 20,000 cans takes up a lot of space, so if you had four designs, that’s 80,000 cans. Where do you store them? Again, glass is the winner. Sure, you can label cans, but then the cost goes up significantly per unit, and just doesn’t have the same look and feel. Is it cheaper for a brewer to get set up with a quality canning line than a bottling line? JF: No, unfortunately the wider aperture opening of cans proves to be harder to manage the dissolved oxygen pickup during filling. You need a faster can line to achieve the same quality as a slower (and cheaper) bottling line. JB: I don’t think there is any cheap way around packaging; the old saying "you get what you pay for" comes to mind. I think a basic bottling and canning line would be approximately the same cost, maybe slightly higher for a canning line. Currently, my line runs at 15 cans per minute (cpm), but can go to 30cpm with very little expense, then again to 60cpm. It also has a few added features, such as an extra CO2 purge, a CO2 tunnel prior to lid drop and a CO2 purge on lid drop, followed by a double lid tamp. In short, that means less oxidation if set up properly. These systems also have safety guards around the seamer and filling heads, which is a must have when you are responsible for your workers’ wellbeing. MH: No easy answer here, as it all depends on what you want to achieve and the speed required. If you wanted to run a 3,000 container an hour bottling/canning line, there is a lot of extra equipment required to ensure efficient canning, including a depalletiser, twist rinser and so on. Then it depends on the manufacturer. I would argue that for entry level packaging, it is cheaper to get set up with a bottling line. There is also more secondhand equipment available for bottles. PL: It’s cheaper with a canning line. Is portability of your packaged product for the consumer a consideration when choosing between glass and aluminium? Paul Wyman, former WA head brewer for Colonial, now at Nowhere Man, with the first canning line installed by the brewery in Margaret River. Photo supplied by Cask. JB: This was another major reason why I to go to cans. I already had a lot of customers coming in to grab some cans, citing that they’re easier to travel with and dispose of. Camping especially comes to mind, as it’s just so much easier to crush down cans, bring them back out and dispose of them. It’s just the lighter weight that’s so much of a positive when it comes to portability. There’s also the advantage of being able to bring them places where there’s a no glass policy, like music festivals and sporting games. JF: Absolutely, this is one of the key drivers for our decision to can. Colonial Brewing Co is born in Margaret River and the WA lifestyle is heavily linked with the outdoors. Cans are better suited to fishing, beaches, swimming pools, camping, the outdoors and summer in general! MH: Not really. I certainly see the benefit of the weight of cans and the ability to take them camping etc, but, for the majority of beer styles we make, this portability is irrelevant to us. Is there a difference in longevity? For example, do cans protect hoppy beers longer? Could you cellar a suitable canned beer in the same way as bottles? JB: I have noticed that our Howling Pale is holding its aromatics and freshness much longer so far. So, at this stage, I will say it does indeed appear to protect hoppy beers. Again, it’s only early days for canning at Black Dog, but I’ll certainly be setting aside some cases to taste over six to twelve months to see how they hold up. PL: Without a doubt, cans provide longer protection. Thanks to their full protection from light and ingressed oxygen, aged canned beers won’t develop lightstruck hop flavors or oxidised notes. You can certainly cellar canned beers. But, if you’re doing it in hopes of them developing the sherried and oxidized flavors some seek in an aged beer, you're wasting your time. A canned beer’s airtight seal prevents that from happening. MH: This all comes down to the quality of the packing line you have purchased. If you can achieve less than 50ppb [parts per billion of oxygen] in a finished packaged product, you’re doing pretty well. But, when achieving that in a single seamer canning line which fills 12 or 14 cans at once, that last can has a lot of waiting to do before it gets seamed, so I’d be interested to see the dissolved oxygen levels in those last few cans. When it comes to bottles, a modern filler with double pre-evacuation and CO2 purge, and then a fobber and cap on foam, can get you in the order of less than 20ppb, especially with current technologies. Certainly, the fact that cans are a true hermetic seal and have light impermeability will work for them, but only if they were filled correctly. I don’t believe that you can cellar in a can the same way that you would with bottles, as it is the gradual degradation of the product that you want. This degradation is in the form of oxidation, which in certain beers styles actually is beneficial. The consumption of a 10-year-old barley wine and associated oxidation is just magical. I also think that a 10-year-old barley wine in a can would have more than just trace amounts of BPA. Do you think cans come with a stigma? 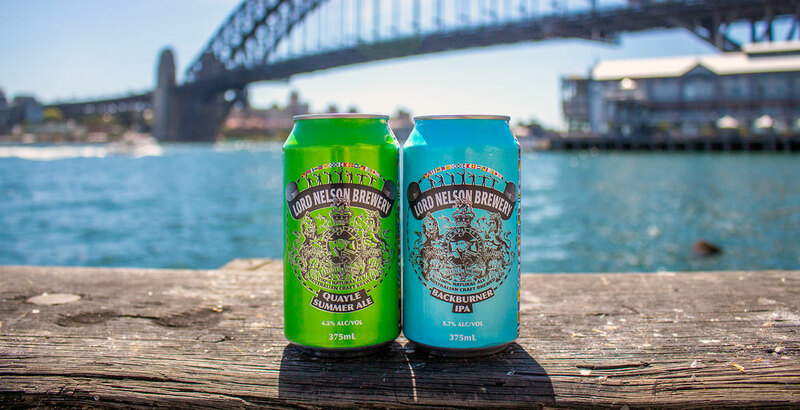 In Australia, they’ve typically been associated with lowest common denominator beers. JF: I think there is definitely a stereotype surrounding canned beer but, like most prejudices, taking a moment to understand and investigate often shows it’s entirely unfounded! JB: I think there certainly is a stigma that cans are associated with poorer quality, but as I said in a recent interview, it reminds me of the change from cork to screw cap in the wine industry. When screw cap first came about, so many people were focused on trying to find the negatives without looking at any of the positives. At Taminick Cellars, where I am the winemaker, we changed over to screw caps in 2007. It took a good year to really convince people how much better they were for the wine. Cans are going through this same phase; once people taste the difference and see the positives, that stigma will certainly change. PL: Cans do come with a stigma from being linked for decades with cheap, lightly flavoured, mass-market beer. Some consumers also still believe cans impart metallic flavours, which they don’t. Thankfully, since we started our effort, the stigma and misconceptions have faded dramatically in craft beer cultures around the globe. The days of both veteran and upstart brewers second guessing the benefits of cans are almost over. Almost. Are certain beers better off in cans? Which belong in bottles? Part of the bottle only Boatrocker range, which has also included corked and caged releases. MH: Definitely. Beers that are sessionable and have responsible levels of alcohol are perfect for cans, as they can go places like the beach, or on the boat, or camping that just work so well with those beers. However, a barrel aged imperial stout, or a three-year-old lambic, so called “occasion beers”, just work in bottles. They look and present so much better. PL: We think every beer is better off in cans! Granted, some people feel that you can’t have an upscale experience with a canned beer. Not us, and millions of beer lovers share our thinking. We think there’s something especially high-end and smartly rebellious about a gourmet, white-table-cloth meal paired with a glass of delicious beer poured from a can. It’s very classy. If you could pick only one of the two, which would it be and why? JB: If I was looking at packaging back when I first started and some of the smaller manual canning units were available, I probably would have gone straight into cans. For one, it would have been a massive point of difference for my brand starting out, especially on bottleshop shelves. I think the packaging/branding looks great in a lot of cans out on the market. A lot of people love Black Dog branding and it comes up really well on the cans, probably even better than bottles. 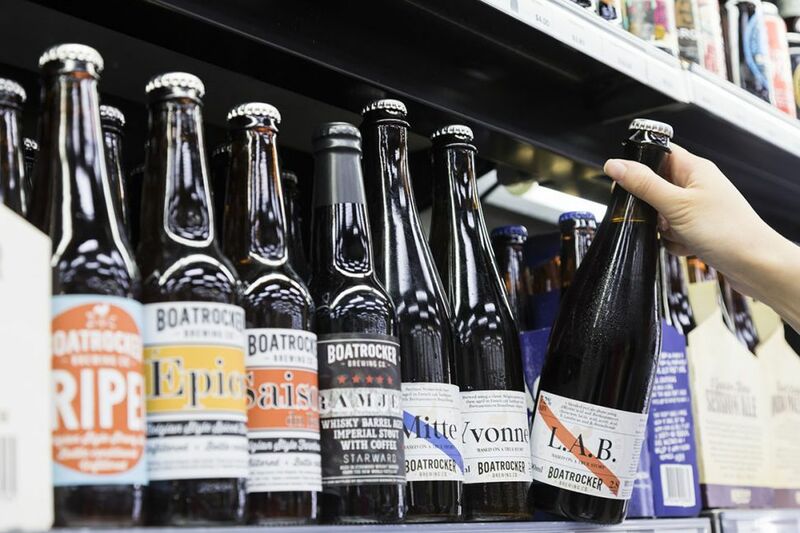 MH: At Boatrocker, we are so heavily into barrel aged beers, beers that can take years to reach maturity, that packaging into an inert package like glass is essential. JF: Cans! Colonial was in a unique position to actually pick both options and we still chose cans for each brewery. Thanks to our contributors for taking part. Clearly, different breweries will have different requirements in how they present their beers, sometimes taking a different approach with different beers in their range. Thus, there's an element of horses for courses in the above answers. But, with cans only likely to become more prevalent in the local beer world, we hope we've helped our readers – and maybe a few brewers weighing up how to package – understand a little more about them. You can view past Big Issue features here – and look out for many more in the months ahead as the craft beer scene becomes ever more fascinating and diverse. About the author: Marie Claire is a full-time craft beer enthusiast whose side hobbies include writing about beer (and winning awards for it) and completing a PhD in experimental physics. She can be found online at newsouthales.com.